Ruled by Blood, one of the newest complete series by Izzy Shows begins simple enough with the separation and decimation of a group of people. 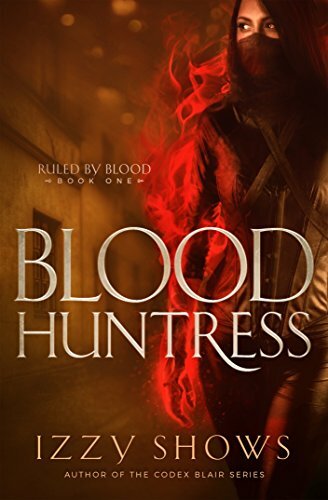 Series starts with Blood Huntress, Blood Slave, and Blood Queen, and a prequel Blood Captive. Simple in the fact that the ruling class of vampires in a future America are attempting to kill or capture one group of people. The Blood Mages. This is where we learn about our heroine, Nina. Nina had been a prisoner from the time she was 6 until her breakout by the leader of the werewolves, a group thought to be extinct. Nina learns to be an assassin in order to hide who she really is. 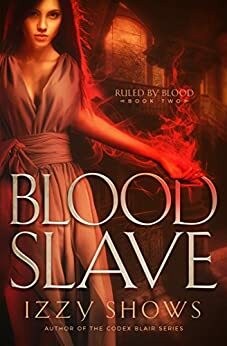 For her resistance movement against the vampires, Nina willingly goes undercover to be thrall (blood giver and kindof slave) to the ruling vampires. She goes in thinking she will be just like everyone else, but instead is picked by the King of vampires, Grayson. Little does the king know why she is there. Nina begins the trials of navigating living in the vampire royal palace as the kings thrall. All of the books are told in split views between Nina and Grayson’s point of views sometimes overlapping in events. 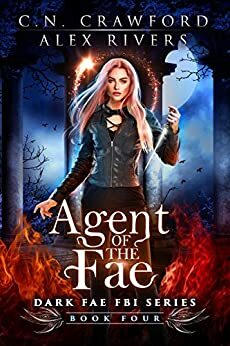 Agent of the Fae is the last installment of the Dark Fae FBI Series by C.N. Crawford and Alex Rivers. The final book follows what happened to Cassandra after the death of the Unseelie king. Cass has finally taken on the mantel of Mistress of Dread and is no longer afraid to act on it. There is only one small issue, where she drew her power from is no more. Cass struggles with her feelings for Roan trying to decide if she wants to be his soulmate as Roan knows her to be. Cass is afraid to leave her life behind, what she knew in the United States before coming to London. But she has to decide if belonging to the Unseelie is what she really wants. And through all of these struggles war has come between the Seelie and the Unseelie courts. Cass and Roan have to take a stand to end the bloodshed of not just the Fae but of also the humans living in London. As the Mistress of Dread, Cass has to decide. After seeing a few posts on Facebook about this new release, I decided to check it out for myself. 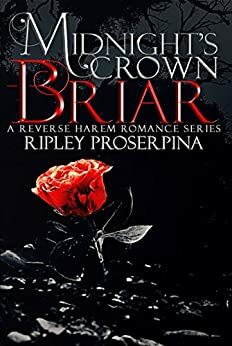 Briar: A Reverse Harem Romance, the first in the Midnight’s Crown Series is not your average romance. The main character Briar is not the leggy, perfect woman often seen in books. Briar would most likely consider herself average, though she feels throughout the book that she is some kind of a freak. The main factor that makes Briar so different from every other MC is that she suffers from a life threatening and debilitating condition. Strange for a main character to not be perfect right, but it makes Briar more real than most. Briar suffers from EPP or Erythropoietic Protoporphyria. If you would like to learn more about this disorder check out the link here. A summation is that Briar is essentially allergic to the sun and has to keep her skin covered at all times to prevent horrible burns and blisters. This is in fact a real disorder not anything that should be considered fiction. But back to the story. Briar is getting ready to attend Boston College (love their hockey team) to work on her graduate degree. Academy of Assassins, Book One by Stacey Brutger, is the first in the Academy of Assassins novel. The Academy of Assassins follows the story of Morgan, a supernatural without a past. 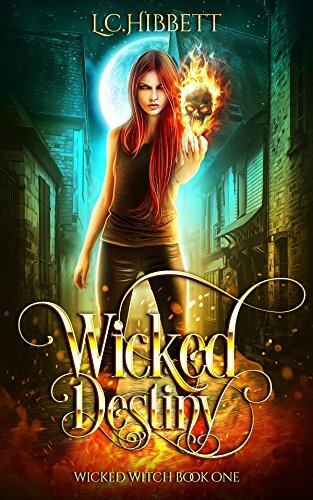 Found as a child wandering the woods, Morgan was brought in by the local magic leader and trained to be an assassin where women are trained as witches never assassins. Morgan knows her abilities and pushes herself to the limit in order to prove her worth surrounded by people that want her dead. After spending a few years as a hunter she is forced to attend to Academy in order to find and eliminate the killer that is hunting there. Four Psychos, The Dark Side Book 1 by Kristy Cunning, pen name of C.M Owens. Is a Reverse Harem with a slight twist. Idonea: And if you don’t want to know this twist, stop reading this review. Amanda: And start reading the book, it is great. While many books start off with a less heavy intro, Four Psychos takes it to another level. Four beautiful men, one woman having a good night though in the case of Four Psychos, not the main character. She is there, to watch, like a creepier.